You are here: Home › Finland › Lapland › Northern Lights › What’s the Best Way to Experience the Sampo Icebreaker in Kemi? As the only vessel of its kind dedicated to tourism, the Kemi-based Sampo Icebreaker is an experience like no other. It’s got abundant history, plenty of power and gives passengers the most spectacular views. But what exactly do you get to see and do on the ship? How is best to experience it? And what else should you see while you’re there? 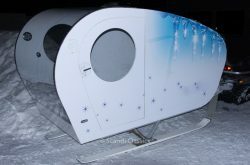 Read on for our best tips for an unbelievable Sampo Icebreaker experience. 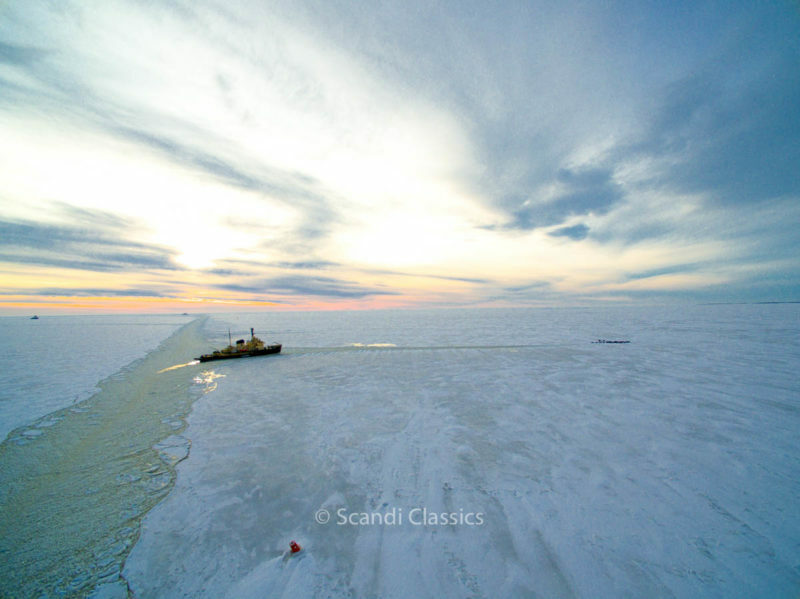 What is the Sampo Icebreaker? For those that aren’t aware, the Sampo Icebreaker is majestic Finnish ship. It was used as an icebreaker for the Finnish government, but now operates solely for tourism. Passengers can watch in awe as the vessel’s impressive steel structure breaks through layer upon layer of thick sea ice. 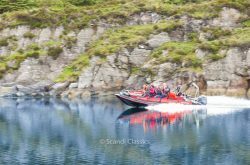 Sailing through the Gulf of Bothnia, you will see the incredible ice fields stretching endlessly across the water and feel the incredible icy breeze of the Baltic. It’s not just the incredible sight, sound and feeling of breaking through the ice that makes the Sampo Icebreaker cruise so special. Passengers can also tour the magnificent ship, taking in all the impressive facilities. See the powerful engine room and, of course, where the magic happens – the captain’s bridge. Feeling brave? After all that, you can even get up close and personal with the frozen Baltic sea. If you choose to, you will be provided with a warm, waterproof suit. It’s exactly what you need before entering the magical, icy water of the Gulf. 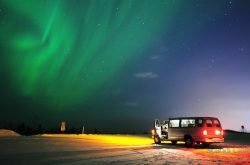 Depending on the time of your cruise, you will then be treated to a delicious meal on-board as you watch the sun rise, set, or even witness the spectacular Northern Lights. 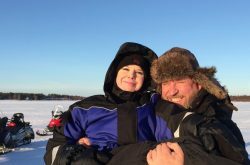 Cruises on the Sampo Icebreaker depart from Kemi, a small town in Finland’s Lapland region. What it lacks in size, it makes up for in spectacular attractions. For one, Kemi is home to the largest snow castle in the world. Pure white walls tower over visitors, with incredible artwork crafted from snow and ice around the site. Even better, the snowy artwork is changed every year, to create unique experiences for visitors – and these magical surroundings can be found just to the south of the city centre. 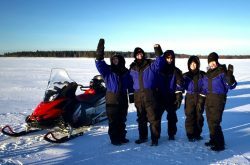 2-Day Cruise: Travel from Rovaniemi to Kemi on a 2-day icebreaker cruise to see the town in all its beauty. 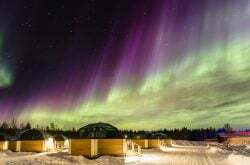 Enjoy a night’s stay in a local hotel, before taking in the Icebreaker Cruise, visiting the snow castle and taking in everything Kemi has to offer. 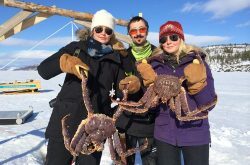 7-Day Cruise: Want to see even more? 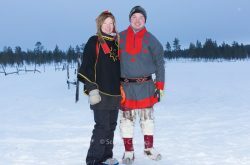 How about a 7-day Lapland tour? Take a tour of the Helsinki’s modern metropolis, before travelling to Rovaniemi in the heart of Lapland. 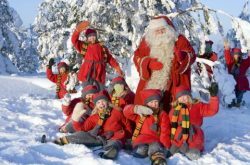 From the home of Santa Claus, you can take a variety of Lapland tours – reindeer and husky trips, northern lights safari, ice fishing, snowshoeing and much, much more. 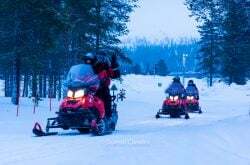 After all of that, you will then travel to Kemi for all its delightful attractions, finishing with the pinnacle of the trip – the Sampo Icebreaker Cruise. 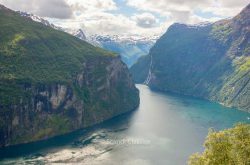 Whatever you want to see, and however you want to see it, Scandi Travel can help. We provide a wide range of tours to give you access to all the best sights and experiences across the Baltic and beyond. 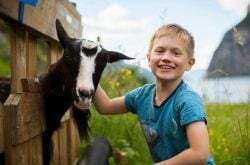 We’re always working to add new trips and itineraries to our site, so make sure you check our full range of tours to see what we can do for you. 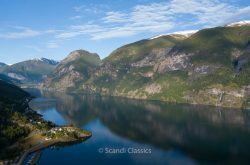 ← What’s New at Scandi Travel?